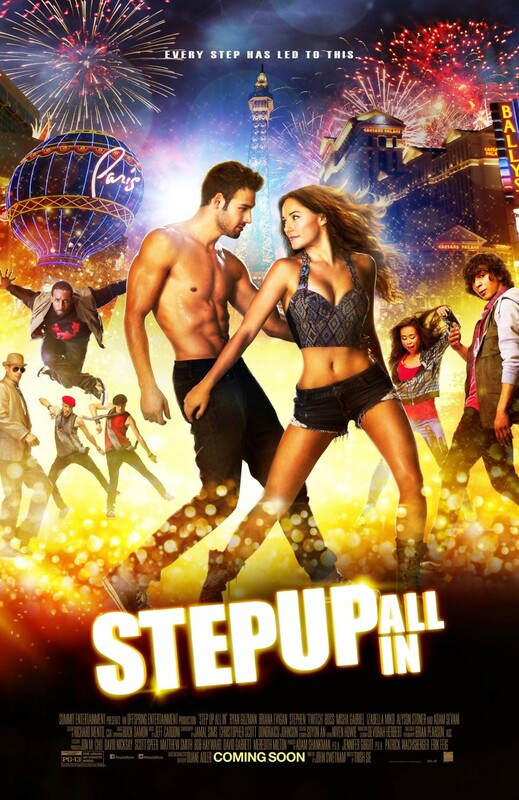 Step Up 5: All In DVD and Blu-ray release date was set for November 4, 2014. All bets are off as the cast of this dancing hit takes on Las Vegas. A high stakes competition offering the reward of a lifetime draws the nation's top dancers to recruit teams and place their markers as the stakes grow higher and reputations are thrown on the line. All-star characters return in the fifth installment of the popular series to battle in the ultimate showdown. Who will triumph to be the next hottest show in the glittering mirage of the desert city?